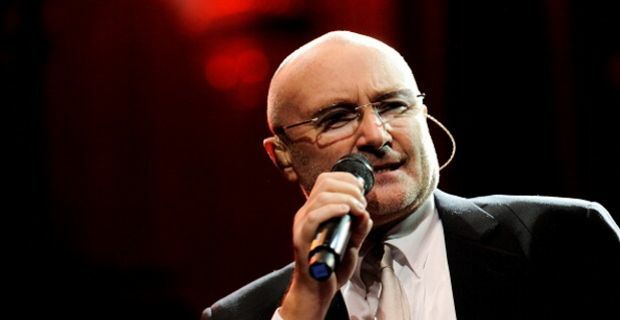 Phil Collins has revealed that he may be making a return to music soon. The musician also said that he is thinking about a reunion of cult band Genesis. Talking to German journalists at the Stuttgart premiere of stage musical Tarzan, based the Disney's cartoon, the former Genesis drummer revealed: "I have started thinking about doing new stuff," "[Maybe playing] some shows again, even with Genesis. Everything is possible. We could tour in Australia and South America. We haven't been there yet"
In 2011 Collins announced his retirement from music. At the time he revealed he had to quit music due to ongoing health issues, including nerve damage, hearing problems and back pain. However, he also wrote on his website that he would give up music to be a full-time father to his two young sons on a daily basis. Two years down the line, Collins says that his children Matthew and Nicholas, now 8 and 12 respectively, have inspired him to return to the stage. Apparently, and justifiably enough, his sons want to see him play, and for the multi talented musician this is the biggest motivation. Also Collins' older children are enthusiastic about their father's regenerated attitute towards music: Simon Collins, frontman for prog-rock band Sound of Contact said of his father: "He's doing really well” "He's starting to write again actually and spending more time with family, myself included." Collins last played live in 2010 and last played with his former band Genesis in 2007. Apart from a covers LP released in 2010, the last full-length record to be released was the 2002 Testify.